WaterField Finn Wallet for iPhone 7 plus is the product that is reviewed in this article. 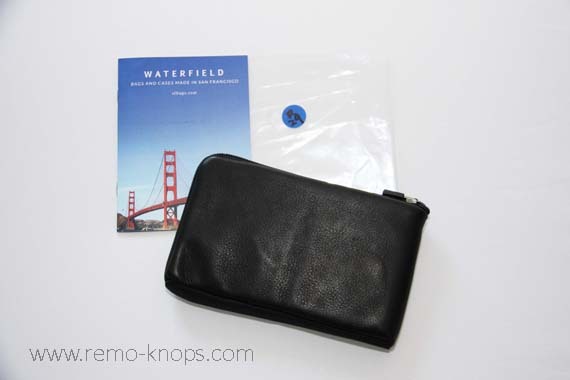 WaterField is a well established company in San Francisco that is making device specific sleeves, accessories and other bags. I was personally looking for a wallet that could fit my passport, car papers, a few cards and even my Xiaomi Redmi Note 3 smartphone. I wanted something with a high quality finish and at the same time functional, just like my Exentri Wallet. The WaterField Finn Wallet has a high quality and stylish finish. The cowhide leather has a really smooth and soft surface and has a slightly matt black color finish. I’ve ordered a black leather version in size #29 that could perfectly fit an iPhone 7 Plus and also fits my Xiaomi Redmi Note 3. Size #29 means that the WaterField Finn Wallet has the following dimensions: 16.5 cm x 10.8 cm . The inside of the WaterField Finn Wallet for iPhone 7 Plus is from WaterFields well-known ballistic nylon. This material is highly durable. On the side you can see 4 card sleeves to store those plastic cards in a structured way. Furthermore you can see the “MADE IN SAN FRANCISCO SFBAGS.COM” label sewed on the inside. I would like to highlight the YKK locking zippers, which are also used on the WaterField Micro Wallet. The advantage of these zippers is that you can feel the different zipper-lock-positions when rotating the zipper handle. There is a rubber protection cover on the zipper end. 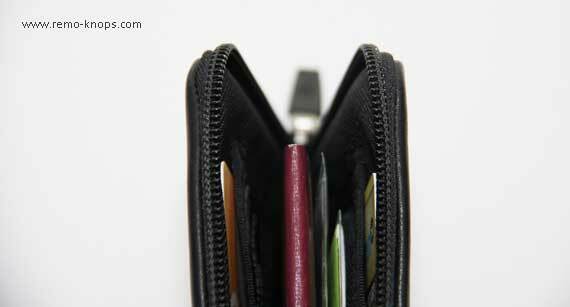 All in all the zipper feels very robust and durable, just like the rest of the wallet. However it is not a waterproof version (compared to the Club Cycling Pouch zipper). On of the unique features of the WaterField Finn Wallet for iPhone 7 Plus is the RFID blocking material that is integrated between the full-grain cowhide leather exterior and the internal ballistic nylon liner. It can be selected as an option during the ordering process. WaterField was kind enough to provide me with a picture of the RFID blocking material during the productions process of a WaterField Finn Wallet. While you don’t see this material on the outside, it protects your precious banking cards and passport on the inside. WaterField Finn Wallet for iPhone 7 Plus is a large high quality wallet, that I specifically chose to keep my car papers, passport etc. safe. The ultra thin profile makes it easy to handle while the finish of the leather gives it a business style look. WaterField Finn Wallet for iPhone 7 Plus has a price point of $59,- with additional $10,- for the RFID blocking material. The total price is not cheap, but from experience I know that WaterField products are build to last, given the craftsmanship and use of high quality materials. In addition I had a few questions to the WaterField team regarding the size before I made the purchase, which were perfectly answered. With that kept in mind I don’t mind to spending a little more. 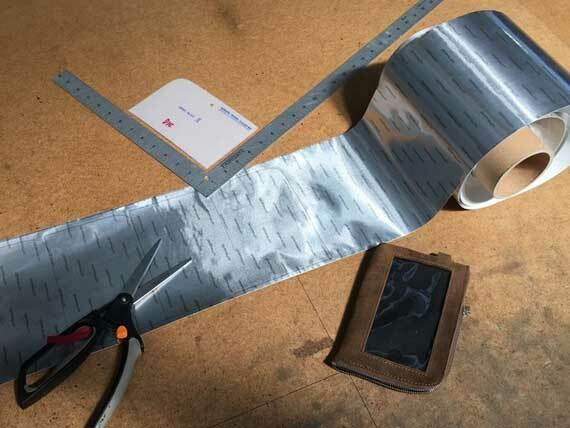 Check also Vlad Savov’s review of the Waterfield Finn Access Wallet on the Verge website. The WaterField Micro Wallet is a compact but versatile wallet for many situations and use. If you are a Microsoft Surface Pro owner you certainly need to check out the WaterField Dash Sleeve for Surface Pro. Waterfield offers custom-sized and perfectly fitting WaterField Sleevecases for a wide variety of laptops and tablets. Finally check out the Club Cycling Pouch review a collaboration between Waterfield and Eleven Velo. What wallet or pouch do you use ? Hey!, I found this information for you: "WaterField Finn Wallet review for iPhone 7 Plus". Here is the website link: https://www.remo-knops.com/6693/waterfield-finn-wallet-review-iphone-7-plus-rfid-blocking/. Thank you.